This STYLISH two bedroom first floor flat is in excellent condition throughout benefiting from a PRIVATE BALCONY , located in CENTRAL WIMBLEDON. This furnished property comprises of two spacious double bedrooms, a guest bathroom, good sized fully fitted modern kitchen with space for dining, a seperate WC and a bright reception room. 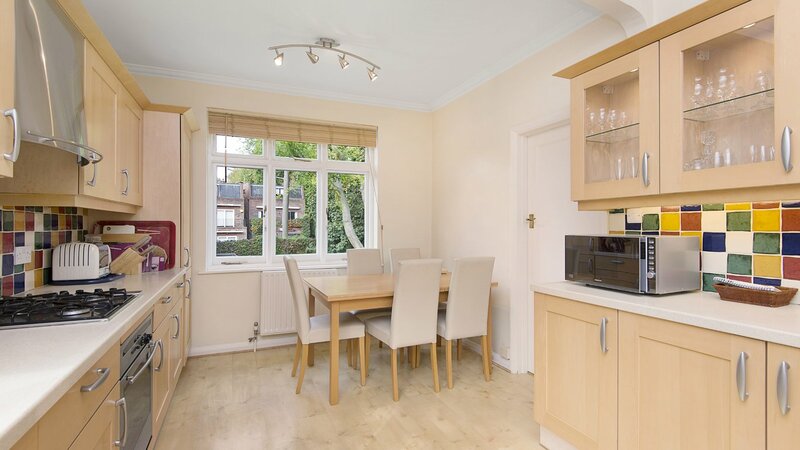 Conveniently situated close to the shops and facilities of the Broadway and within easy reach of the bars and restaurants of Wimbledon Village, the property is close to an excellent range of amenities. Local transport includes Wimbledon Station (District Line, Tramlink and National Rail), providing great access in and out of London.